Istanbul Sessions is a unit consisting of 4 versatile musicians -- Ilhan Ersahin, Alp Ersonmez, Turgut Bekoglu and Izzet Kizil. Ilhan was born and raised in Sweden, his motherland, and since a long time now has been living in NYC where he founded Nublu, the club and record label. 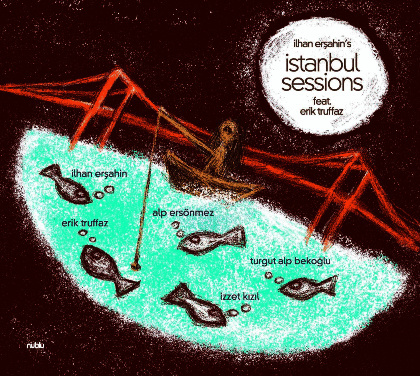 Having a Turkish father and always having strong ties to Istanbul and Turkey as a whole, Istanbul Sessions was conceived as a very organic project. The concept of the band is a combination of Ilhan's NYC/Nublu sound mixed with the sounds and spirits of young Istanbul. It's a band that mixes Turkish scales, clubby beats and jazz improvisations. Their live sets are usually an experience in sounds, moods, and almost trance like vibes, all played live, almost as if they are dj's keeping the audience alert with beats, colors and songs weaving in and out until their set ends 1, 2 or 3 hours later. Alp is the bassplayer of Turkey's popstar Tarkan. Turgut is the drummer of Turkey's one and only diva Sezen Aksu and Izzet is a sought after percussionist heard on hundreds of Turkish released records already performed with very international names such as Bebel Gilberto, Natasha Atlas etc.- all very active in the Istanbul music scene. Ilhan, saxophonist/keyboards/composer is the founder of Nublu in NYC and the newly started Nublu Records. Ilhan has composed for Norah Jones, Bebel Gilberto, U-Roy and his other bands include Wax Poetic, Love Trio, I led 3 lives and Nublu Orchestra. 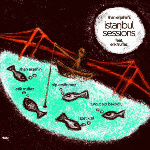 A great way to hear fresh and new sounds from Istanbul with a different angle then is usually expected, here it is: Istanbul Sessions.